to claim your digi prize!! ...have you had a chance to check out the NEW and improved Sassy Cheryl's Stamps shop?! 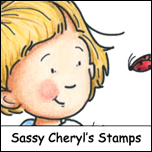 Sassy Cheryl is in the process of moving everything over to the new shop to make room for the new rubber stamps (wheet whoooo! 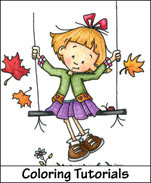 ), coming soon! 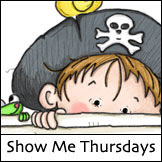 So be sure to pop over and take a look. Oh...and you'll want to check out the Bargain Bins in the soon to be retired Sassy Cheryl's Digis shop! That's right...the Bargain Bins will be available only through midnight on Thursday, February 28th! 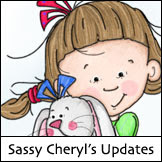 Hurry...just a couple of days left to get some fabulous "vintage" Sassy Cheryl digi images! What gorgeous BLUE projects, don't you agree?! OK, now before you get started on your own BLUE projects, please take a few minutes to visit the Design Team's blogs (just click on their names) to find out more about their beautiful BLUE creations...and please remember to leave 'em each a little "love" while you're there! Then it's your turn!! 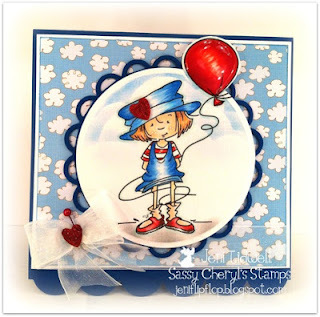 You'll have until 5 PM EST, Monday, March 4th to get your image and blog linked up to be entered in the random drawing for TWO FREE Sassy Cheryl's digi images! and just one entry per person please! Oh my gosh, I love the DT cards! Gorgeous creations! I just went on my (second) shopping spree in the "old" shop, so I am hoping to find Mr. Mojo today to work on something for the challenge! Challenge #152-Let's Get back to nature!